Have you ever struggled with loneliness? Do you remember how painful it felt? Maybe you felt lonely after moving to a new town, transferring to a new school, or after a friend moved away? There are so many triggers to loneliness, but most of us only struggle with loneliness for short seasons, and then we build new relationships that help us move forward. Can you imagine how hard it would be to feel lonely indefinitely, without hope of change? Unfortunately 40 percent of seniors experience persistent loneliness. Your loved one might be one of those seniors. Here are some tips for detecting senior loneliness and helping your loved one feel connected again. Loneliness can be embarrassing and difficult for seniors to admit. Whether or not your senior loved one has admitted to feeling lonely, you can detect loneliness through many different physical, emotional, and relational warning signs. 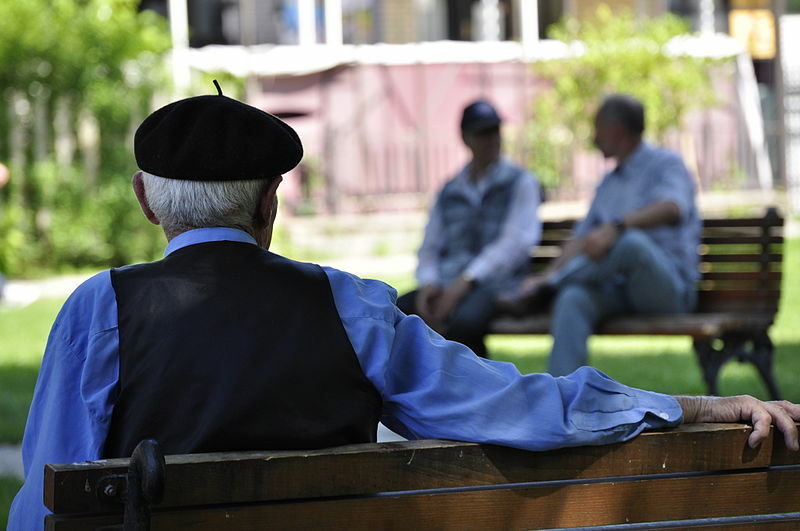 Physical disabilities and deterioration put seniors at higher risk for loneliness. Does your loved one have dementia, hearing loss, arthritis (or any other chronic, painful condition)? Any condition that limits a senior’s mobility, ease of transportation, or quality of communication can lead to isolation and ultimately feelings of lonesomeness. Another physical indicator of loneliness can be overeating/obesity because seniors can learn to use food as a coping mechanism for emotional pain. Lastly, poor sleep can be caused by loneliness. Is your loved one well rested? Or is s/he constantly complaining of a poor night’s sleep? What is your senior loved one’s mood like on a regular basis? Do you enjoy being around him/her? Or does s/he seem sad, low energy, and consistently negative? Don’t be too hasty to attribute this negative demeanor to physical challenges alone, this type of depression can be greatly caused by loneliness. Consider the compounding effect of some other relational risk factors. Has your senior loved one experienced the death(s) of a friend, spouse, or child? Does your loved one get regular visits from family and friends? Does your loved one try to prolong visits with you by telling stories, inviting you to stay for a meal, or other stalling tactics? Does your loved one have regular social outlets (hobbies, clubs, church)? If the answer to any or all of these questions is no, then your senior loved one likely struggling with some level of loneliness. Loneliness is not only emotionally painful, it is physically damaging. Modern research confirms the biblical principle that, “a cheerful heart is good medicine, but a crushed spirit dries up the bones” (Proverbs 17:22, NIV). Loneliness can be as physically damaging to a senior as smoking 15 cigarettes a day. In addition, lonely seniors, have a 45 percent higher risk of mortality than their socially connected peers. You can help your loved one develop meaningful relationships again. Make sure to visit your senior loved one regularly. Also, help your loved one find social outlets and transportation (if needed) to these events. Park districts often have senior groups that coordinate programs, special events, and field trips. Some local options include the Tinley Park Senior Community Center, Tinley Park -Park District (Senior Programs), and Orland Township – Senior Services. Local churches such as Parkview in Orland Park have Bible studies and events specifically for seniors. If you are reading this right now, then rest assured that you are already on the path toward helping your senior loved one feel connected again. Your senior loved one may just need a little help finding ways to get connected again or s/he may need significant help with all aspects of daily living. If you are already feeling overwhelmed by the responsibility of caring for your senior loved one’s needs such as proper hygiene, nutrition, and medical care; then consider getting additional help from Best Loving Care at Home. Despite your best efforts, sometimes you can’t do it all. Our Caregivers can assist you with the physical and relational needs of your senior loved one. With our help, your senior loved one can combat the compound challenges contributing to his or her loneliness, and benefit from additional regular, caring companionship. 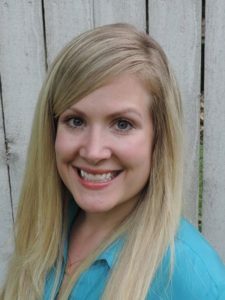 About the Author: Sarah Weber is a Licensed Professional Counselor with over 10 years combined experience in organizational administration, leadership, and spiritual development who provides consulting services to individuals and small businesses. She completed her Master of Arts in Professional Counseling degree at Olivet Nazarene University. She can be reached at sarah@bestlovingcareathome.org .